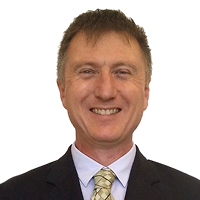 John is a business agent with 20 years commercial experience in the British, European and Australian markets. He has experience across the building & construction, private health, public health, vocational training and higher education sectors. John has an incisive business style with solid commercial nous, specialising in entrepreneurship and succession planning. He is a recognised international expert in the field of business to business sales, people process, and strategic alignment. John has a strong professional focus on corporate strategy, corporate governance and fiduciary responsibility. In his advisory roles, he has supported the executive teams of local, state and national governments in Australia and the United Kingdom. In private enterprise he has worked with various boards and executive teams in national and multinational private firms.